If you have a little dinosaur-lover in your household, this grand two-level park is a must-stop. 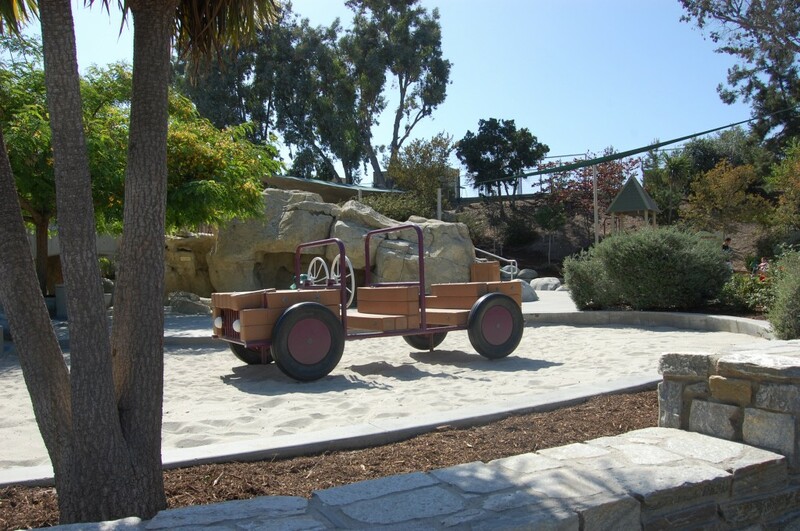 Located on one of the richest fossil sites in our county, Prehistoric Park (many locals call it “Dinosaur Park” also) is Laguna Hills’ nod to the city’s origins. 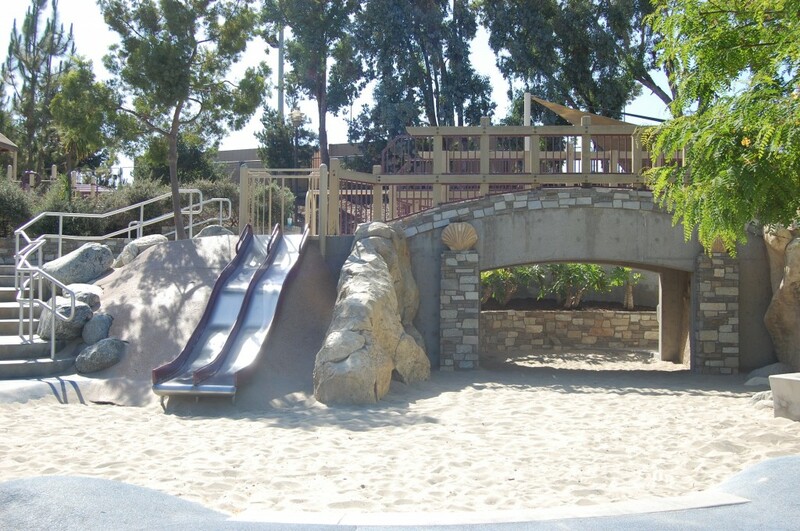 Filled with dinosaurs to climb, a “fossil cave” to hide in, an explorers’ truck to “drive,” and plenty of prehistoric playfulness, your little ones will remember this park for a long time. There are wonderful shaded canopies over much of the equipment (but apply sunscreen anyway! ), and lots of tree-shaded wall seats for Mom and Dad. But beware, if you have two children of different ages, one will want to be on the top level and one will want to be on the bottom, making it a little difficult for supervision with only one adult. 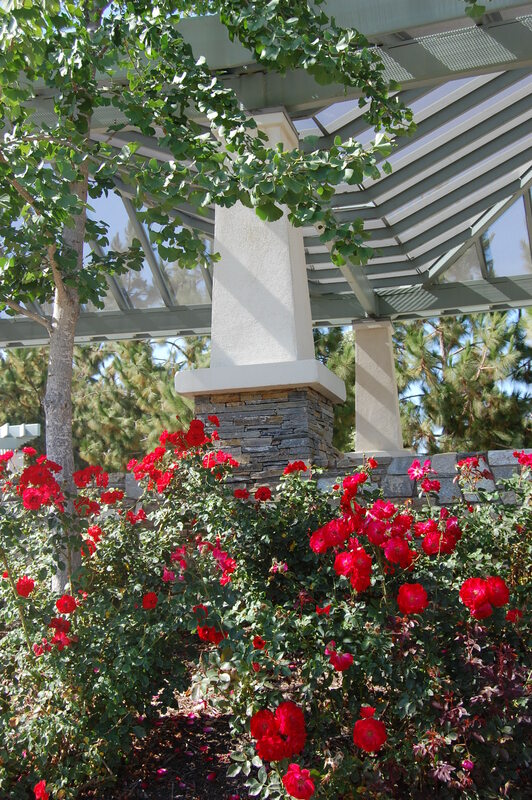 If you can ply your kids off the climbing fossils, or drag them away from the prehistoric turtle fountains, or get them off the climbing “fossil walls,” you can also bring them inside the beautiful Laguna Hills Community Center and take a free audio tour of the city’s fossils display (check out audio equipment at the front desk). 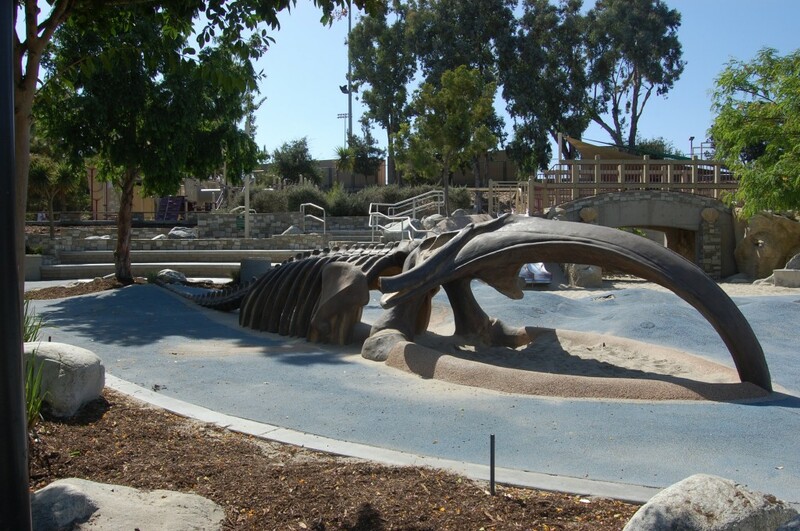 This park also takes reservations for parties (perfect for a dinosaur-themed party!) and has an enormous arbor-shaded picnic area, surrounded by flagstone tiles and roses. Adults will find the setting as magical as the kids. Restrooms are in the Community Center. Where to park: Enter off Alicia Parkway and park anywhere in the large parking lot. Best time to go: This park is great any time! Rarely gets crowded, and there is more shade than at most parks. For more information: Call City Hall at 949-707-2600 or visit the fossils display page of the City of Laguna Hills website. Have you taken your kids to Prehistoric Park? 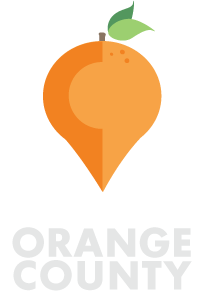 Do you have fun tips to share? Thank you for showing this park so beautifully. We are proud of our parks and enjoy sharing them with our neighbors. After folks visit, they can stop in at Latte Da, a friendly cafe and bagel place across Paseo de Valencia for a quality cup of coffee, or a great snack or meal – and perhaps the kiddies would enjoy the kid-friendly yogurt shop a few paces away.